This competition is now closed. Subscribe to my mailing list for details of future competitions. Congratulations to Ruth Wollerton who won the opportunity to name a character in my new novel and a £100 Book Token. Ruth also won signed Pendulum and Freefall paperbacks as well as an early proof copy of the final book in the trilogy, Aftershock, which doesn’t hit bookstores until later in the year. 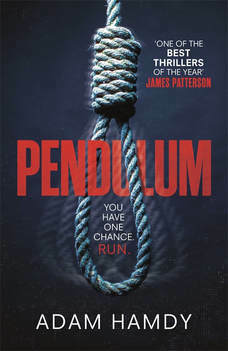 Five lucky runners-up, Eddie Tang, Charlotte Crerar, Hannah Fowler, Valerie Grange and Daryl Graves have all won signed Pendulum and Freefall paperbacks.